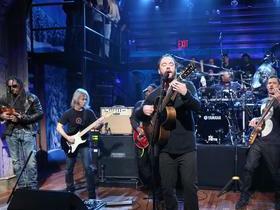 The Dave Matthews Band has a devoted legion of fans and why not? Arguably that generation’s Grateful Dead, the Virginia based group combined the ethos of a Jam band into multiple adult based genres, which has resulted into many radio friendly hits, many of which worked on Adult Contemporary or Modern Rock stations. While that is the common perception of non-fans or casual fans, a Dave Matthews Band concert is a widely diverse musical experience and the crux of what he has built his powerful fanbase on. It will be on that strength alone where the groups Hall of Fame chances lie. 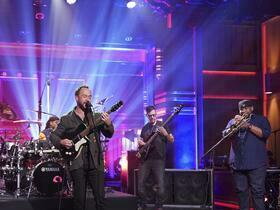 Should the Dave Matthews Band be in the Hall of Fame? This is a very popular group. Even if you are not into them, you may have no real idea just how many people listen to them. The critics are not enamored with Dave Matthews. Buy your Tickets to see Dave Matthews Band at Xfinity Center in Mansfield, MA HERE for as little as $69! Buy your Tickets to see Dave Matthews Band at Xfinity Theatre in Hartford, CT HERE for as little as $81! Buy your Tickets to see Dave Matthews Band at Saratoga Performing Arts Center in Saratoga Springs, NY HERE for as little as $81! Buy your Tickets to see Dave Matthews Band at Saratoga Performing Arts Center in Saratoga Springs, NY HERE for as little as $74! What's the difference between a Jehovah's Witness and a Dave Mathews fan? A Jehovah's Witness will eventually STOP trying to convert you. Damn Jimmy, most overrated band ever?!!? That's harsh, and perhaps close minded. I think you're completely missing the genius, and the purpose of the music. The first 20 minute jam song is background music during foreplay. The next two songs, pick 2, are rhythm for the performance, and the fourth track is for the afterglow. Mix in some Roxy Music the next night, and some Dire Straits after that, and I'll bet the chicks won't even care that they're in your parents basement anymore. And your garage band might even learn the chords to Crash into Me following your success. Most overrated band ever. their music is crap. if it wasn't for stoners who love 20 minute jam songs(see Grateful Dead and Phish) they would not sell a lick. I have seen better bands in my basement! Funny thing is they are almost a shoein to get in.